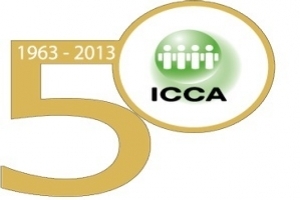 ICCA’s anniversary celebration will last through the year and will end with a big bang at the 2013 ICCA Congress in Shanghai, China-P.R. The launch unveiled a dedicated logo and website, an interactive history timeline, with pages where ICCA members can share their ICCA Congress memories, social media campaigns, and video interviews with dozens of members. There will be celebrations and innovative new activities at the ICCA Research, Sales and Marketing Programme in ICCA’s HQ city Amsterdam in June, and at all other events and tradeshows where ICCA is present throughout 2013. ICCA will also mark this milestone by publishing a special 50 year edition of its international association meetings Statistics Report. The concept of ICCA was first discussed by travel agents Moises Shuster from Mexico and Jean Claude Murat from Paris at the beginning of the 1960s, to take advantage of the then-new phenomenon of international association meetings which were being stimulated by the introduction of commercial jet aircraft, and particularly the potentially lucrative medical meetings field. The unique original idea was to share information between friendly business owners based in different countries to obtain competitive advantage and win a bigger slice of the travel revenue from this fast emerging market. At a meeting in Paris in 1963, Shuster and Murat together with five other travel agents from four different continents around the world founded the International Congress and Convention Association. Murat stated in an interview in 1985: “We came up with the idea in Mexico, we cleared the idea in Paris, we officialised it in Athens and then we regulated it in The Netherlands, so we were a truly global organisation from the start”. Today ICCA has over 950 member companies and organisations in nearly 90 countries, and 40 staff with 15 different nationalities working out of 6 offices in different regions. ICCA recently built an even deeper global presence by opening up new regional offices in the Middle East and South Africa. Sharing information about international association meetings for business advantage continues to be the central theme of ICCA's Mission five decades after it was founded on that same principle.